Living by a lake or any other body of water is the dream of many. Beautiful sunrises and sunsets, the sound of the waves, all-day water activities – these and more make living on the waterfront not only pleasurable but also a great boost to one’s well-being. 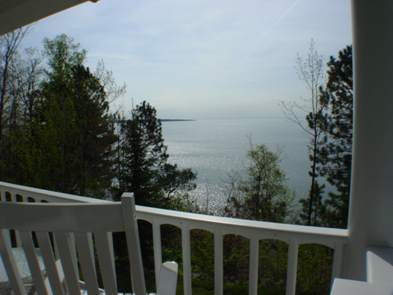 The communities around Lake Superior in Wisconsin offer wonderful waterfront homes. This type of property, however, has unique characteristics that need special attention. And with its generally higher value, it’s best to be informed about what you can expect from one before proceeding with a purchase. Here are some of the most important questions you need to answer before buying a waterfront home. What are your reasons for buying the property? Do you want a vacation home by the water, or will it serve as your primary residence? Is it an investment property that will be rented out? These are important details that will greatly impact your financing and taxes. In addition to this, consider the activities that you want to do and if there are zoning regulations that could restrict these activities. If you love boating and want to keep your own watercraft, check if you can build a dock and if the water is deep enough for one. If you want to go swimming, find out if the condition of the water will allow it. Or if you’re an angler, learn about the fishing opportunities in the area and where the best spots are. Other things to look into include proximity to amenities like grocery stores, shops, restaurants, and others. If the property is going to be your primary home, it has to be close enough to your place of work or to schools for the kids. If you’re buying a vacation home, consider how close it is to your primary residence and how convenient it would be to travel from one home to another. What can you expect from the shoreline? Many of the beautiful lakes of Wisconsin are surrounded by wooded areas or filled with shrubs and aquatic plants that may take up a large part of the shoreline. These give you plenty of opportunities for activities on land, like hiking and birding, in addition to water activities. If you want a more developed shoreline, look into neighborhoods with piers and other waterfront structures. Many communities feature bustling waterfront areas with charming shops and restaurants. Check into neighborhoods’ cultures, as well. Is it a busy and active community where everyone is into sailing, jetskiing, or boating? Or is it a laidback neighborhood where residents prefer to go fishing, canoeing, hiking, or other “quieter” activities? Look into bulkheads, which help protect waterfront properties from the effects of water, and find out if there are regulations on the construction and improvement of one. If you’re building on a vacant lot, check how close you can build to the water. How much maintenance will you need to do on the property? Waterfront homes are naturally more exposed to the elements that can hasten wear and tear such as humidity, wind, and lake-effect snow. Maintaining a lakefront home includes using air conditioners and dehumidifiers to control humidity, installing proper insulation, winterizing your home, reinforcing doors and windows, and others. Consider the costs of these measures before buying a property. If you want to make your dream of owning a waterfront home a reality, you need to work with a Realtor who has the right experience and knowhow. In the Lake Superior South Shore area in Wisconsin, the Windseeker Realty LLC Team are the Realtors to call. Get in touch with them today. You can also call (715)779-5000 to learn about your options.